Board Members in attendance were: Rob Stark, Nancy Brown, Jerry Martin, Judy Hammond, Ralph Gresham, Hope Feiner, and Bobbye Kelly. Board Members absent: Rob Frits, Jason Combs, Jamey Smithson. Also in attendance were Alicia Hines, Treasurer; John Duke, Property Manager. Residents present were: Carl M. Kendrick, Jane Franks, Ben & Martha Carson, John Shankles, Jim and Donna Murray, Gary and Deedra Ashcraft. Ben Carson addressed the board representing residents concerning the possibility of cutting down some of the trees in Songbird Circle. He stated they liked living by the park, liked the view and enjoyed the birds. He prefers the trees not be touched as the birds will not leave the area even if the trees are cut. There is some concern that the nesting birds cause pulmonary disease, namely histoplasmosis. And the neighborhood needs to be notified of such possibilities prior to any action being taken. Martha Carson added that the health consequences by the birds would be greater by disturbing their nesting area if the trees were cut, possibly to the trees in front of our houses. There will be no action by the board on this topic and Rob Stark will work on getting the monthly agenda to people in the community via the new website he is developing. The meeting was called to order at 6:47 p.m. by Vice-President, Judy Hammond. Designation of Quorum: Vice–President Judy Hammond presiding. New Business: none presented by board members. Secretary’s Report: presented by Nancy Brown. The minutes were emailed to board members for their review prior to tonight’s meeting. 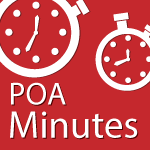 Jerry Martin moved, seconded by Ralph Gresham to approve the September 2014 POA minutes. The motion passed 7-0. Alicia emailed the financial reports to board members for their review prior to this month’s meeting. Alicia stated that the Misc Social entry was for the ‘Dive-In Movie’ function. Rob Stark moved to approve the September 2014 financials, seconded by Hope Feiner. The motion passed 7-0. Alicia also stated that All-Around will give a 7% discount if for Oct, Nov, and Dec if we pay in advance. Rob Stark moved that we pay All-Around in advance for those months to get the discount, seconded by Ralph Gresham. The motion passed 7-0. A new trash can will be installed in Founder’s Park the week of 9/15. 412/Founder’s entry sign discussion – the current sign is 6 inches out of code. John asked and will look for a 10-12 foot long rock, but in a lighter color. After multiple attempts to collect a new check from adjuster, I called the Arkansas Municipal League. The Municipal League has all of the documents needed to reissue checks. The new checks were received on 9/8. New lighting fixtures will be installed. New and brighter fixtures will cost $500 including installation. Per City Planning, the dimensions can’t exceed those of the current sign. I have made contact with the City regarding the columns that are in need of repair on the Founder’s Park and Coyote Crossing bridges. I met the City on 7/31 to assess the situation. The City is saying since it is a bridge, it falls under AHTD maintenance. The City is including these repairs on the next report to be submitted to the AHTD. The masonry company could not locate a matching brick. ACME Brick has inspected the brick and will no longer return calls or email. I have located the original supplier which was Boral Brick. They no longer carry the Bordeaux brick but have a similar brick called Vining. The sample board was delivered on 7/23. The Vining brick is a good match. The brick was delivered to Har-Ber on 9/4. Guadalupe Masonry has agreed to honor their original bid even with excluding the bridge columns. Jerry, Ralph and I met with Manuel on 9/11 to go over the process one more time before work begins. Manuel started the work on 9/16. Shortly after he began the work he called concerning a problem with the existing mortar. I put the project on hold until Ralph and Jerry return from trips. (Meeting Discussion) – John stated that Guadalupe informed him that the current mortar does not contain concrete. John Duke, Jerry Martin, and Ralph Gresham will inquire further into this problem. John Duke ordered a work stoppage until we get the problem resolved. Rob Stark said he would have his brick mason father-in-law take a look, as well. I have made contact with the City regarding the bridge railings that are in need of painting on the Founder’s Park and Coyote Crossing bridges. I met the City on 7/31 to assess the situation. The railing on the bridges are beyond standard design, therefore, the city currently does not claim responsibility to maintain. A bid was received from CertaPro Painters for $17,519. Response from the City regarding “standard” bridge railing is posted under the Website Task Manager. (Discussion) – John Duke reported that the city does not want to deal with it. Jerry Martin suggested that we go before the City Council or talk to the Mayor. Ralph Gresham added that he had inspected under one of the bridges and found some tubing that had been damaged, probably by freezing water. John Duke will get a committee to talk to Mayor Sprouse. Francis Fair Stop Signs/ASN Parking Discussion – John Duke advised the board of the following communications from the City of Springdale. The City of Springdale Traffic Committee met on 6/30 to discuss 3-way stop signs on Francis Fair and parking at ASN. The City is conducting studies to determine if this request is an option. We received them today. We have to figure out the programming and installation procedures and then we will be ready to deploy. Do you know the status of the two speed radar signs we ordered? Per the email below from John we need to deploy them to Har-Ber Meadows after we work through our initial list of predefined locations. the board approved both striping and no-parking sign by ASN. Pool closed for the season on 9/14. Pool shade and furniture will be taken down in September.- the shade will need repairing this winter during the ‘off’ season. Shower lines will be winterized in September. Wading pool tile repair – $2,414.50 including tax. Will solicit another bid and have repaired in the spring before the pool opens. Daryl Ottaviano of Custom Lawn Care purchased Get Lit. Daryl will honor our previous Get Lit contract. He will give a 10% credit if lighting is installed in October. (Should have contract to review at Board Meeting)-John stated we have the same bid of $3393.00 for 79 light poles, pool house, 3 trees across from pool house, and Crumpacker Park. Nancy Brown moved, seconded by Jerry Martin that we do the same and install in October to get the 10% credit. The motion passed 7-0. John will get screws and have the electric outlets on the light poles covered. Resident request for decorating light poles on Clinton Circle-will stay with same amount of poles at this time. Each pole would be $40.00 additional. The team will practice in the Har-Ber pool through the week of 9/15 before returning to the Jones Center. Damaged fence railing near downed willow tree weld repair. Topped a tree located at the northwest corner of JTL Parkway and Sundrops Ct.
Touring Har-Ber with All Around the week of 9/22. Scheduling the removal of the dead oak tree in Founder’s Park after meeting with All Around. Bobbye Kelly advised that that the dead tree is a maple, not an oak. Willow tree and 2 warranty trees (Discussion)-Blades Landscaping – will replace the damaged willow tree near Manning Clinic, with warranty for $300.00.Logan is still to replace the other two trees. John reported that the manager, Mary Moore, at the Bank near the 412 entrance is working on getting the leaning short column straightened. Each pole would be $40.00 additional.- this should be $55.00 the first year and $25 per pole after year. Covenant Violations-John updated the board on the status of the covenant violations. 1-5 remain in violation. Further action may be taken. None of these residents appeared for the hearings. Architectural Review Committee: presented by Judy Hammond. Donnie Rutledge requested a variance for his bronze colored wrought iron fence. The ARC recommends that the variance be granted as it is the same style as the house. Bobbye Kelly moved, seconded by Ralph Gresham to grant the variance. The motion passed 6-1. Security and Neighborhood Watch: no report. Ralph reported that the lakes have done extremely well this summer with lots of rain. The well has not been running for the last couple of weeks. Landscape and Facilities: presented by Bobbye Kelly. The two trees reported last month on Zan Loop still have damaging stakes in place. Property Manger (PM) was to talk with homeowners. Bobbye added this may kill the trees. Dumpsters between Harps and Athlete’s Plus are still in the open and partially blocking the street, in violation of covenants. PM has notified owner; action pending. Request this be treated as any other covenant violation. The stunted spruce tree across from clubhouse was trimmed of dead limbs and fertilized by my husband and myself. CRUMPACKER PARK: Recommend replacement of the evergreen in the middle of the flower bed. Also recommend adding irrigation to the bed. It is approximately 180 feet from the flower bed to the existing water hydrant. The cost of installation would be offset by not hiring someone to water the flower bed and would be more consistent. Request BOD approval for this project. John Duke will get bids for this. MAINTENANCE ITEMS REPORTED TO PM: Several more areas where Dale needs to limb up over sidewalks. Need All Around to limb up and clean-up around large willow tree near the ENT clinic. Grass/weeds in street south of pool house. Outside pool house shower running slightly more than a drip. Badly leaning tree in Apple Shed/June Dr. needs to be straightened and the nearly dead one needs to be evaluated for guaranteed replacement. PM said he would handle. COVENANT VIOLATIONS observed incidental to committee monitoring and reported to PM: 151 & 358 JTL, dead shrubs. Alley off Harlan, behind several homes on Founders Pk West is overgrown with weeds. 6221 Tall Oaks Loop So., no ARC app or approval before planting shrub rows in yard, some on property line. Ask that all these be treated as any other covenant violation. These were presented to John Duke. BRICK PAVER SIDEWALKS: On the resident sides, there are some bad places and some not so bad–some tripping hazards and some places that hold water directly in front of resident’s front sidewalk, etc. Noted only one severely raised place on the park sides. The situation will not get any better. Have requested our treasurer assemble info regarding past few years of brick paver repair – by whom, when and how much so we can get a better idea of ongoing cost. Recommend PM walk all these sidewalks to make a determination of how much repair is needed. John Duke is to walk the area and get estimates for repair. PENDING PROJECTS: The City requested that we use their payment for the land taken by the 56th street extension for the benefit of the community. The following projects will depend on how much we can budget for them. CLUB HOUSE SPRUCING UP: Pending inspection by committee with PM. APPLESHED AND JUNE DR. PARK: A resident wrote and asked that we consider further amenities for that park. A Task Manager under Landscape & Facilities Committee has been established to describe the current state and possible amenities. We are open to other ideas. In the meantime, we recommend a picnic table be relocated from near the Club House to the eastern part of this “park.” John Duke will move the table by the pool house to this location. DANCING RABBIT PARK: The committee is also considering amenities for this larger park and there is a Task Manager on it, too. In the meantime, recommend the relocation of another picnic table to the eastern end of this park. No other table available at this time. Long Range Planning Committee: no discussion, on hold. Contracts for coming year need reviewed before the end of Oct. so we can decide at the November meeting. With no further business, the meeting was adjourned at 8:47 p.m..
Respectfully submitted this 27th day of October, 2014.